On May 29, 2018, the Ontario Superior Court of Justice released its decision in R. v. Vuong and Quach, 2018 ONSC 3348. This case is helpful to fraud victims in terms of the information it provides about the interplay between police (criminal) and regulatory (securities commission) investigations, the appropriate body to which to make a complaint, and when this should be done. At the end of this blog we comment on the interplay of public and civil fraud prosecutions. The decision pertains to an abuse of process application in the context of a criminal fraud case against the accused April Vuong and Hao Quach (“Vuong and Quach”). The Crown alleged that Vuong and Quach committed fraud through a company operating as Systematech Solutions Inc. (“Systematech”). The fraud case pertains to an investment program that police allege was essentially a Ponzi scheme. The Court described the case as “a complex web of investments and trading of various types of securities such as options, the buying and selling of currencies (FX trading) and the leveraging of funds.” The allegation is that fourteen clients of Systematech lost over $5 million. Vuong and Quach had moved to stay proceedings based on an infringement of their rights under section 7 of the Charter. Their stay of proceedings motion was based on what they considered to be four separate forms of abuse of process: issue estoppel, Crown misconduct, police misconduct, and misuse of an expert witness. This blog post focuses only on issue estoppel. Issue estoppel is a legal principle that essentially means that where an issue was decided in a previous action, it cannot be tried a second time (the issue is “estopped” from being re-litigated). The issue must be a finding that is fundamental to the outcome of the prior decision. The idea is that it is not fair for people to be tried on the same issue twice, especially if it would result in a different outcome. The Court held that the most compelling rationale for retaining the legal principle of issue estoppel in criminal law is that fairness to the accused requires that an accused should not be called upon to answer allegations of law or fact already resolved in his or her favour by another judicial determination on the merits. The Court found that the OSC was investigating fraud from the time it commenced the investigation, and that the OSC proceedings involved the same complainants and the same facts as those involved in the criminal proceedings. The Court accepted Voung and Quach’s submission that the OSC had investigated the same financial assets, transactions and records and that the OSC had conducted its own forensic financial analysis. The Court also agreed with Voung and Quach that issue estoppel may apply in the context of an OSC Settlement Agreement where there are concurrent criminal proceedings based on the same facts. The Court held that such a scenario was equivalent to a civil fraud consent to judgment being issued before a criminal fraud trial – see R. v. Dieckmann, 2017 ONCA 575, at para 35. It appears that Voung and Quach mistakenly believed that by agreeing to “disgorge” $5,623,954.96 to the OSC, they had effectively been penalized for the same conduct the police were alleging in their criminal fraud case. The Settlement Agreement, however, specifically stated that the disgorgement order related to the amounts they received from non-compliance with the Securities Act, i.e. : the failure to be licensed and the failure to file a prospectus, as opposed to securities fraud. What appears really at issue is whether an OSC disgorgement order, which is similar in appearance to a criminal restitution order, can be imposed by the OSC without an OSC finding of securities fraud. In any event, as mentioned, Voung and Quach consented to the disgorgement order and consented to deferring prosecution on the securities fraud until after the criminal fraud case was adjudicated. The Court held that it was evident that rather than making any determination of fraud, the OSC specifically and clearly recognized that once the criminal proceedings concluded, it could take further steps at that time, if warranted. The Court held that this was not a situation of an acquittal before the OSC, or where an agreement of any kind regarding liability for securities fraud was reached. The OSC decision with respect to how to proceed regarding any finding of fraud in the criminal matter was deferred pending the outcome of the criminal proceedings. In the Voung and Quach criminal stay application, the Court expressly pointed out that the matter before the OSC was an administrative proceeding, whereas the matter before the Court was a criminal proceeding. What was not made transparent by the Court was why criminal and securities prosecutions have different purposes. 143 Sections 198 and 199 of the Act authorize an ASC hearing panel to impose a variety of sanctions against a respondent when it is in the public interest to do so. Potential sanctions include cease-trade orders, director-and-officer bans, bans on other types of capital-market activities, disgorgement orders and administrative penalties. Sanctions are aimed not at punishing a respondent but at protecting investors and our capital market (Committee for the Equal Treatment of Asbestos Minority Shareholders v. Ontario (Securities Commission), 2001 SCC 37at paras. 39-45). Sanctions are meant to deter, where necessary, the respondent (specific deterrence) from a repetition of misconduct, and others (general deterrence) from emulating the respondent’s misconduct (Re Cartaway Resources Corp., 2004 SCC 26 at paras. 52-62; and Re Podorieszach, 2004 ABASC 567 at para. 17). It is the role of the Criminal Courts to protect society generally by prosecuting, punishing and rehabilitating offenders – often through incarceration. While role of securities regulators has an aspect of punishment through the imposition of administrative penalties, their focus is to impose measures to protect investors and capital markets through cease-trade orders, director-and-officer bans, bans on other types of capital-market activities, etc. To say this another way, notwithstanding that there is a similar legal test for imposing a conviction for criminal fraud and securities fraud, securities regulators cannot impose a sentence that includes incarceration. While the goals of general deterrence, specific deterrence, and denunciation are common to criminal, regulatory and civil fraud recovery prosecutions, the sanctions vary between the three streams of enforcement based on their purpose. The OSC’s Hibbert prosecution is an example of a situation where criminal fraud charges did not proceed after an OSC prosecution for securities fraud. Marlon Gary Hibbert, a pastor of a Toronto church, fleeced members of his congregation by operating a foreign exchange program that was nothing more than a Ponzi scheme. Hibbert took his parishioners for more than $8M. In May 2013, after his OSC conviction, the Toronto Police charged Hibbert with 38 counts of criminal fraud, alleging that Hibbert had perpetrated an $8.6M Ponzi scheme. The underlying facts were the same as those relied on by the OSC. Oddly, there is no reported decision or press release on whether Hibbert was convicted or if the charges were withdrawn against him. We have been advised by the Courts that the criminal charges against Hibbert were withdrawn. 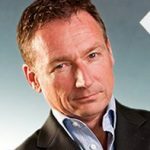 The lack of accountability by the Crown to publish why the Hibbert prosecution was withdrawn is disturbing. Was it because of this issue estoppel issue, or some other reason? Whatever the case, Hibbert walked free from his $8M fraud without serving a day in jail – and with much of the money remains unaccounted for. The OSC disgorgement orders and administrative penalties were not paid. The parishioners could not afford paying private lawyers to enforce their civil judgments. 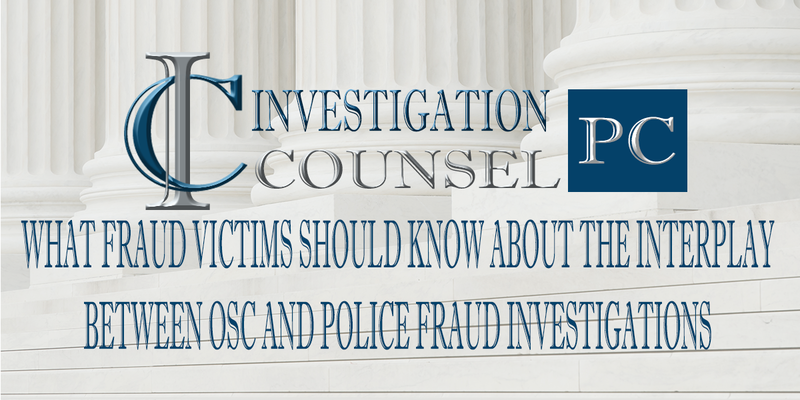 As stated at the outset of this blog, this case of R. v. Vuong and Quach, 2018 ONSC 3348 is helpful for fraud victims to understand the interplay between police (criminal) and regulatory (securities commission) investigations, to whom they should make their complaint and when. It is our view that fraud victims should make their fraud complaint to civil fraud recovery lawyers before making a complaint to police or securities regulators. The police and securities regulators are not in the business of recovering funds for victims. Criminal restitution orders and securities regulators’ disgorgement orders are generally only collected through the civil process. By the time that police or securities regulators obtain a conviction, the stolen funds are often long gone. Fraud victims should also be aware that there are limitation defences that fraudsters may take advantage of if a civil claim is not instituted within two years from the discovery of the loss. Often criminal and securities fraud prosecutions are unsuccessful. If fraud victims wait to see what the outcome of the criminal or securities fraud complaints are, they may learn the hard reality that if no conviction is entered, or if there is a conviction but no restitution or disgorgement order is made, they are timed out at then launching a civil fraud recovery prosecution. What fraud victims should focus on is addressing their private interests first, and the state interests later. Fraud victims should consider issuing their civil fraud claim first, and determine if any assets can be recovered. If assets are not recovered from fraudsters at the outset, fraud victims run the real risk of having their funds spent by fraudsters on defending the very criminal and regulatory complaints that they made. We advise most fraud victims that once the limitation period issue is addressed by way of issuing a claim, and once it determined whether assets can be recovered, then the issue of whether a public prosecution is in their best interest should be considered. The bottom line is that there is no limitation defence to criminal fraud charges – and as the R. v. Vuong and Quach case demonstrates, a criminal prosecution for fraud should take place before a securities regulator seeks a determination on the merits of a securities fraud charge.